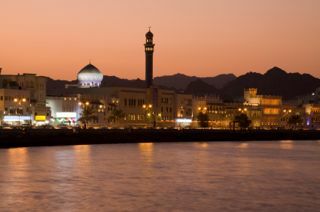 In addition to getting Oman's increasing regional role and economic potential, they will introduce us to their culture, history, and travel opportunities. Full name: H.E. Hunaina Sultan Al-Mughairy, Ambassador Extraordinary an d Plenipotentiary of the Sultanate of Oman to the United States of America. Ambassador Al-Mughairy is an economist with an extensive business background. From 1985 to 1991 she was Director of Industrial Planning and Research, Ministry of Commerce & Industry and a member of the Planning Committee for Major Gas projects in the Sultanate of Oman. From 1991 to 1996 she was appointed as an advisor to the Under-Secretary for Industry at the Ministry of Commerce and Industry. 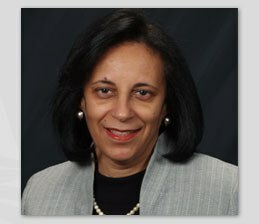 From 1996 to 2005 she was the representative and director general of investment promotion at the Omani Center for Investment Promotion and Export Development, New York City. Since taking over this position as Ambassador, she has been a strong advocate for the US-Oman Free Trade Agreement and has focused much of her energy on improving relations between the U.S. and Oman. As a result of the free trade agreement, exports from the United States to Oman have increased 80%. Texas is the largest exporter to Oman in the United States with over $360 million in exports in 2009. Oman is currently promoting private foreign investment in the infrastructure, industrial, information technology, tourism and high education fields with projects worth $12 billion in the next decade. The Sultanate of Oman is counted among the promising markets due to its strategic location. Her husband, Fuad al-Hinai, has served as Omani Ambassador to the United Nations in New York. The Sultanate of Oman occupies the south-east corner of the Arabian Peninsula bordering Saudi Arabia and the United Arab Emirates in the West, and the Republic of Yemen in the South. 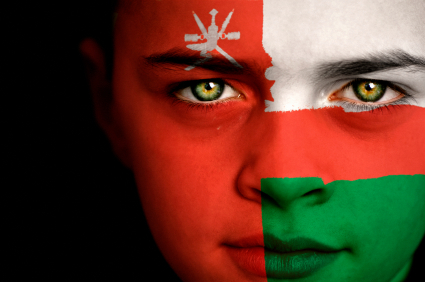 Oman is the oldest independent state in the Gulf, founded in 1650 after gainingits independence from Portugal. However, settlements in Oman date back from the third century BC, when it was on the trade route from ancient Mesopotamia to the Indian sub-continent. The region became more important, and wealthy, as a frankincense producer in the early centuries AD. The Portuguese arrived in 1506 and used the country as a staging post on the route to India. However, they were expelled in 1650, after which time Oman consolidated its influence as an independent, commercial power. His Majesty Sultan Qaboos bin Said al Said (‘Sultan Qaboos’) came to power in July 1970 and has led the country through over 50 years of steady development. Relying on a moderate stream of oil revenue, his government has built up a solid infrastructure with sound educational and health systems. The Sultan rules by decree, but has introduced measures to broaden popular participation in government. Oman has diplomatic relations with over 140 countries – a network which includes two female ambassadors (the U.S. and Holland) – and is a member of over 105 regional and international organizations. In November 1996, the Sultan introduced a Basic Law, Oman's first written constitution. The Law established a succession mechanism, codified the system of government; set out the provisions for the development of the political and legal systems; and provided a blueprint for the direction of future economic policy. The Basic Law created an appointed 40-member upper Chamber to complement the elected lower chamber. Four women were appointed to the State Council in 1997 and a further five were appointed in 2003. After the 2007 Shura Elections in which no women were returned, the number of women appointed to the Dowla was increased to 14. The 2003 elections marked a new move towards democracy, as the Sultan extended the franchise to all Omanis over the age of 21 for the first time. Elections in 2007 continued Oman’s democratic progress. The Shura Council’s powers are limited, but growing. The Sultan has responsibility for drawing up new legislation, making public appointments, and holds the Ministerial portfolios of defense, finance and foreign policy. In 2002, the World Health Organization considered the Oman national health service as the best in the world for value for money in health care. There are several well-equipped private hospitals and clinics. Religions: No state religion. The majority are Ibadhi Muslims. Sunni and Shi’a Muslims make up the rest of the Omani population. Significant numbers of South Asian Hindus and Christians. Wattayah, located in the governorate of Muscat, is the oldest known human settlement in the area and dates back to the Stone Age, making it around 5,000 years old. Archaeological remains from different dates have been discovered here, the earliest representing the Stone Age, then the Heliocentric Age and finally, the Bronze Age. Findings have consisted of stone implements, animal bones, shells and fire hearths. The latter date back to 7615 BC and are the oldest signs of human settlement in the area. Other discoveries include hand-moulded pottery bearing distinguishing pre-Bronze Age marks, heavy flint implements, pointed tools and scrapers. On a mountain rock-face in the same district, animal drawings have been discovered. Similar drawings have also been found in the Wadi Sahtan and Wadi Bani Kharus areas of Rustaq. These drawings consist of human figures carrying weapons and being confronted by wild animals. Siwan in Haima is another Stone Age location and some of the archaeological finds have included arrowheads, knives, chisels and circular stones which may have been used to throw at animals. A vast gravel desert plain covers most of central Oman, with mountain ranges along the north (Al Hajar Mountains) and southeast coast, where the country's main cities are also located: the capital city Muscat, Sohar and Sur in the north, and Salalah in the south. 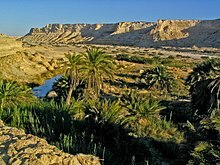 Oman's climate is hot and dry in the interior and humid along the coast. During past epochs Oman was covered by ocean. Fossilized shells exist in great numbers in areas of the desert away from the modern coastline. The peninsula of Musandam (Musandem), which has a strategic location on the Strait of Hormuz, is separated from the rest of Oman by the United Arab Emirates and is thus an exclave. The series of small towns known collectively as Dibba are the gateway to the Musandam peninsula on land and the fishing villages of Musandam by sea. Boats may be hired at Khasab for trips into the Musandam peninsula by sea. ... a total of 31 guests.